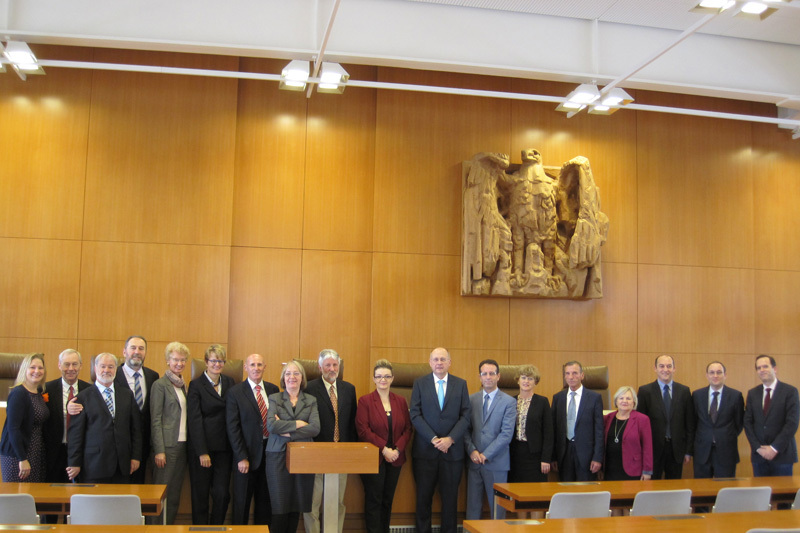 A twelve-person delegation from the Constitutional Court and Supreme Court of the Republic of Kosovo was invited to visit the Federal Court of Justice and the Constitutional Court in Karlsruhe from 19 to 23 October 2015. 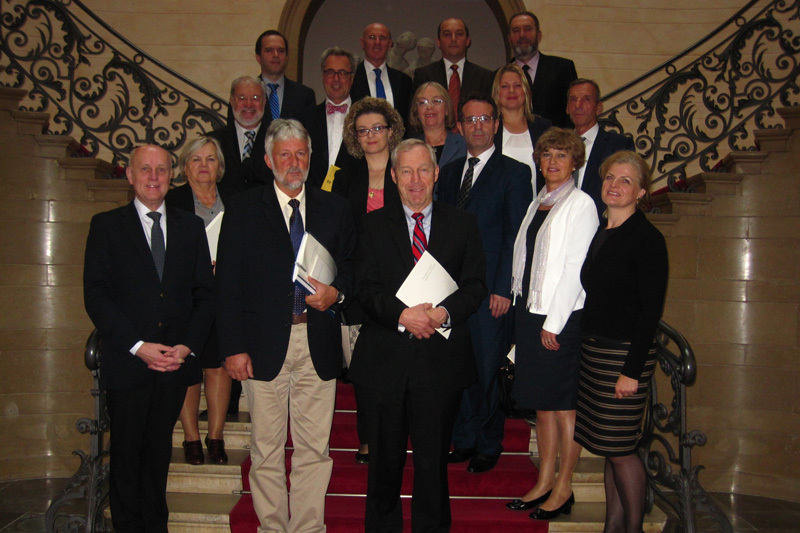 The guests, made up of five judges from each of the courts, as well as the President of the Constitutional Court of Kosovo, Arta Rama-Hajrizi, and the President of the Supreme Court of Kosovo, Fejzullah Hasani, learned about the internal structure of both German Federal institutions and how they operate. 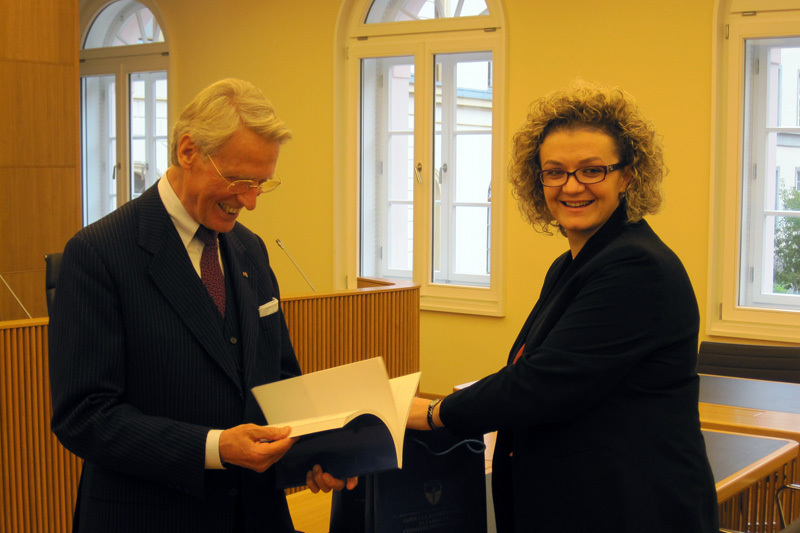 The expert discussions focussed on the role of the German Federal Constitutional Court as a guardian of the constitution and the constitutional protection of human rights. 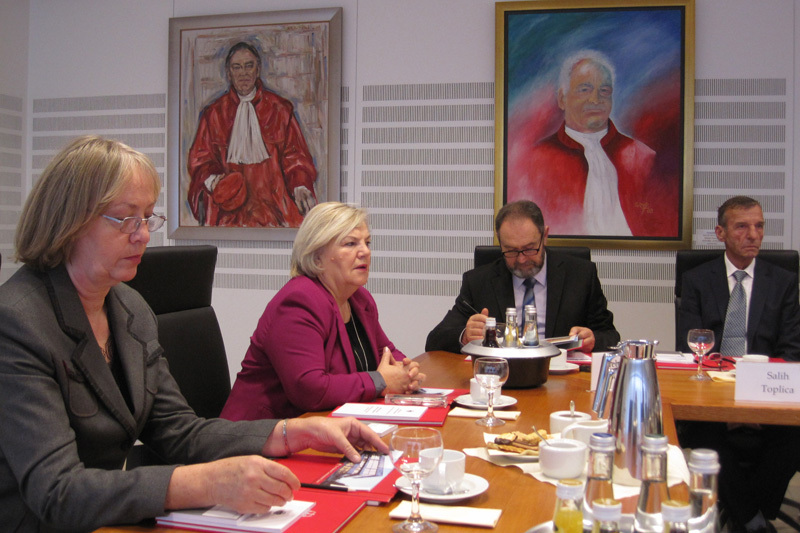 The expert discussions at the Federal institutions were rounded off with visits to the European Court of Human Rights (ECtHR) in Strasbourg and the regional Constitutional Court (Staatsgerichtshof) in Wiesbaden. 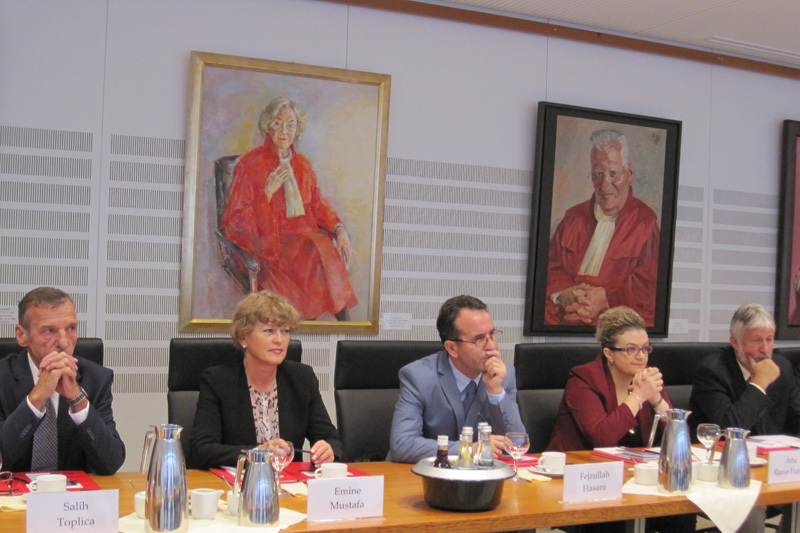 At the ECtHR, an informative exchange took place with Ledi Bianku, the judge for Albania at the ECtHR, on current cases and the European Convention on Human Rights. 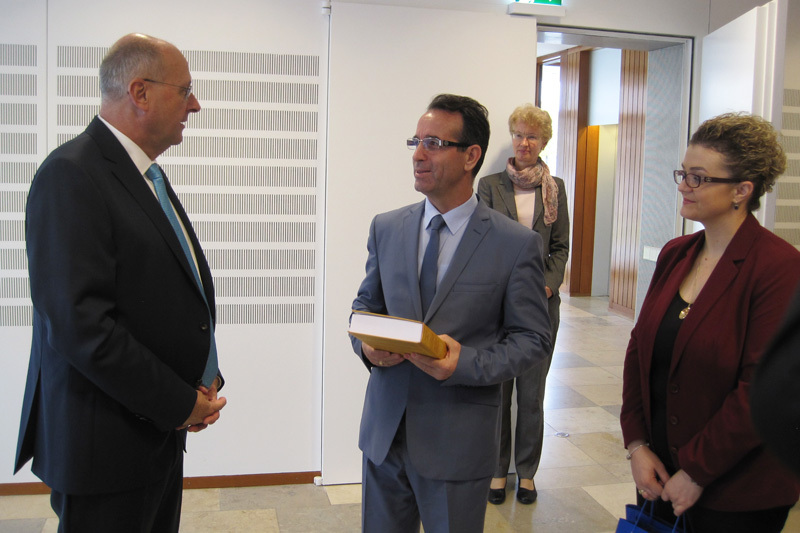 With Dr. Günter Paul, President of the Constitutional Court for the Hesse region in Wiesbaden, the delegation was able to find out about the tasks and responsibilities of a regional Constitutional Court (Staatsgerichtshof) and the relationship between this and the German Federal Constitutional Court (Bundesverfassungsgericht). 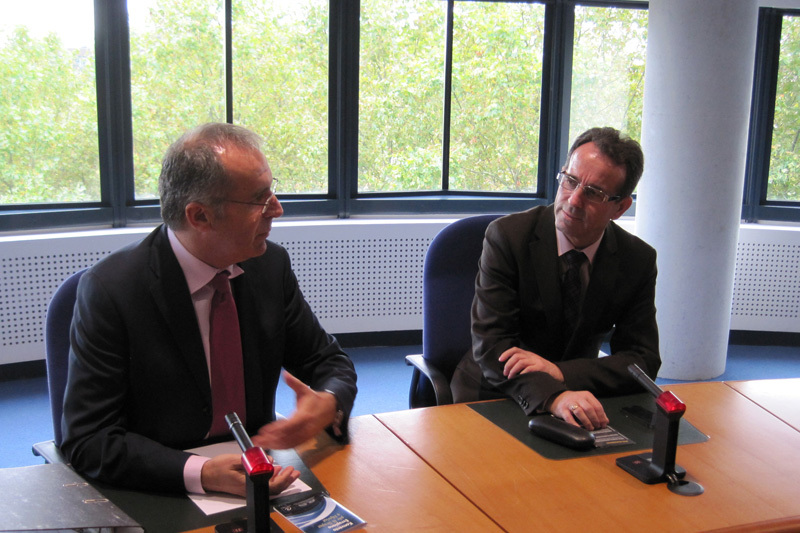 All of the visits featured some very interesting speeches by the hosts, followed by some lively expert discussions.